Product prices and availability are accurate as of 2019-04-21 16:56:55 EDT and are subject to change. Any price and availability information displayed on http://www.amazon.com/ at the time of purchase will apply to the purchase of this product. 101 AV Inc. provides various kinds of high-quality, delicate-look and reasonable-price security products. 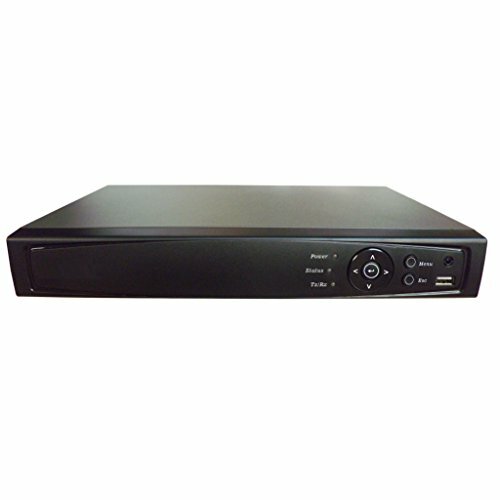 This model, LTD08TC, 8CH HD-TVI/AHD H.264 True-HD DVR (Digital Video Recorder) is designed especially for CCTV system. It adopts high performance video processing chips and embedded Linux system. Meanwhile, it utilizes many most advanced technologies, such as standard H.264 with low bit rate, Dual stream, SATA interface, HDMI and VGA output mouse supported, IE browser supported with full remote control, mobile view (by phones), etc., which ensure its powerful functions and high stability. Due to these distinctive characteristics, it is widely used in banks, telecommunication, transportation, factories, warehouse, and irrigation and so on. DVR can connect 8 HD/SD cameras by using wired cable with BNC connectors and 2 IP Network cameras by using IP address. DVR is compatible with all ONVIF version IP cameras, including Hikvision brand. 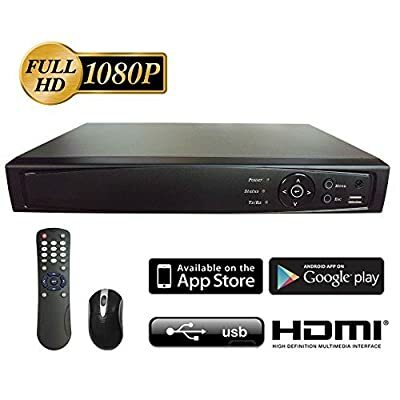 8CH HD DVR w/ 2TB HDD. 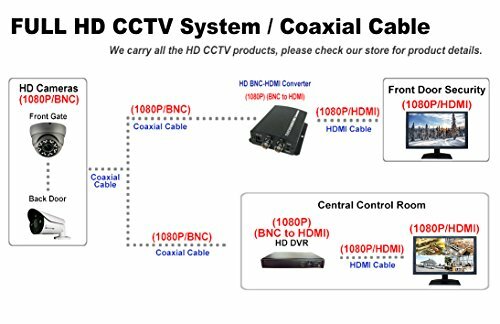 DVR can connect 8 HD/SD cameras by using wired cable with BNC connectors and 2 IP Network cameras by using IP address. Triplex: Live / Playback, Record, Network. Standard H.264 Video Compression with low bit rate and better image quality. 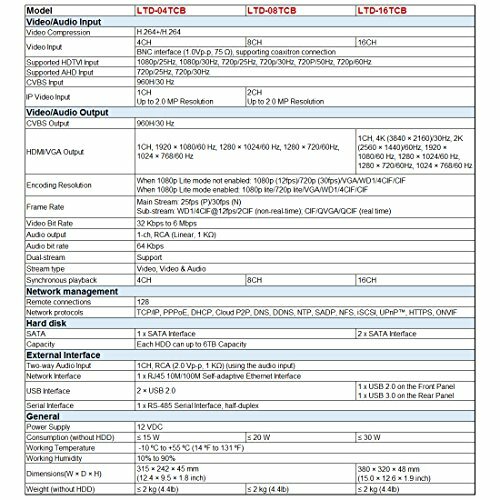 Support 1 x SATA HDDs (Each HDD can go up to 6TB Storage Capacity). Exceptionally strong password and anti hacking protocols to increase privacy and security. Snapshot, and Email notifications for real time protection. Pre-Alarm Recording and Motion Detection. Motion activated full screen alarm call up protection with optional audible warning. Dual-stream: network video and local recording. CMS and web-based remote monitoring software on PC. Up to 1080P HDMI, 1920 x 1024 VGA, and 700TVL BNC Video Output Resolution. USB Backup and USB Mouse. Multiple video formats output including Full HD/TVI/AHD, SD/960H/composite video, and IP/network to work with various existing and new HD surveillance system. Full HD picture quality for solid day & night surveillance applications. 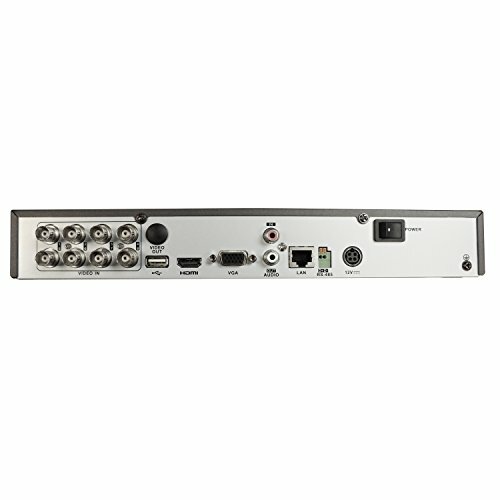 Multiple Video Out connectors for extra viewing needs including: BNC/HDMI/VGA/IP network video monitoring. DVR is compatible with all ONVIF compliant IP cameras, including Honeywell, Interlogix, and Hikvision brand. User friendly setup instructions including QIG (Quick Installation Guide) for PC based VMS/CMS integration. Cloud based cell phone APPs for both Android and iPhone without confusing port forwarding, and real time Snapshot alarm notification. There are options to show 1, 4, and 8 cameras simultaneously on both the mobile APP on cell phone and also the Central Monitoring Software (CMS) on PC. 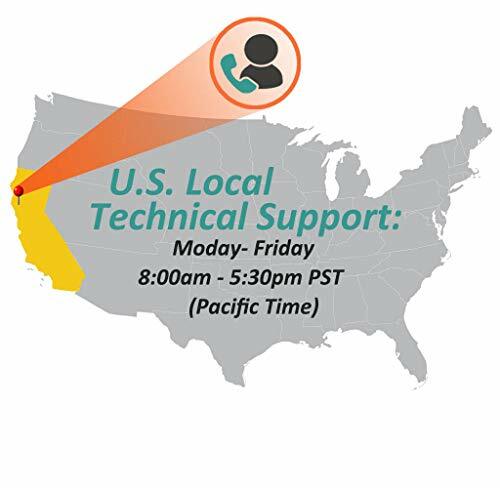 Recording Resolution: Regular Mode: 1080P resolution up to 12FPS, 1080P Lite (960x1080) and 720P/under) can up to 30FPS, US Local Support (Office Hour 8:00AM - 5:30PM, Mon to Fri, Pacific time). 3 Years DVR/2 Years HDD Manufacturer Warranty. We are the sole distributor of 101 AV Inc products. There are no authorized 3rd party resellers of our products.